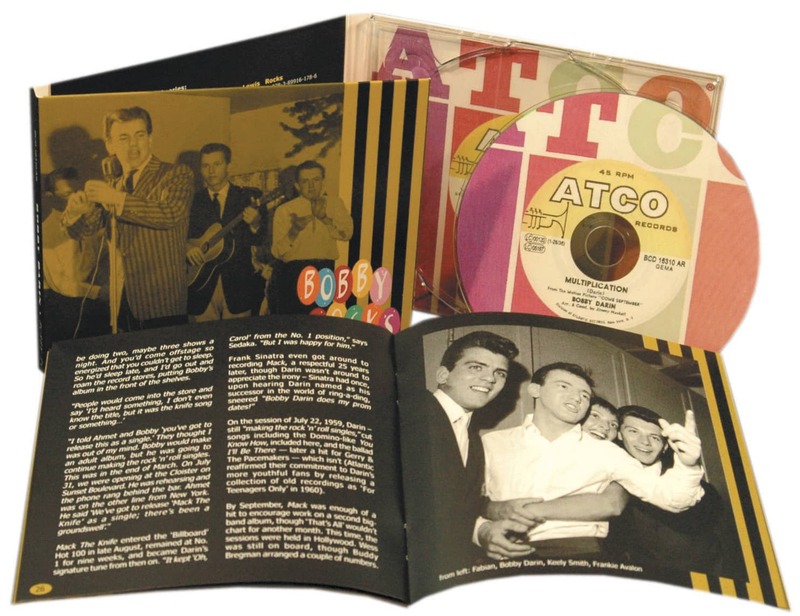 CD album digipac with 48-page booklet, 36 tracks, playing time 82 mns. 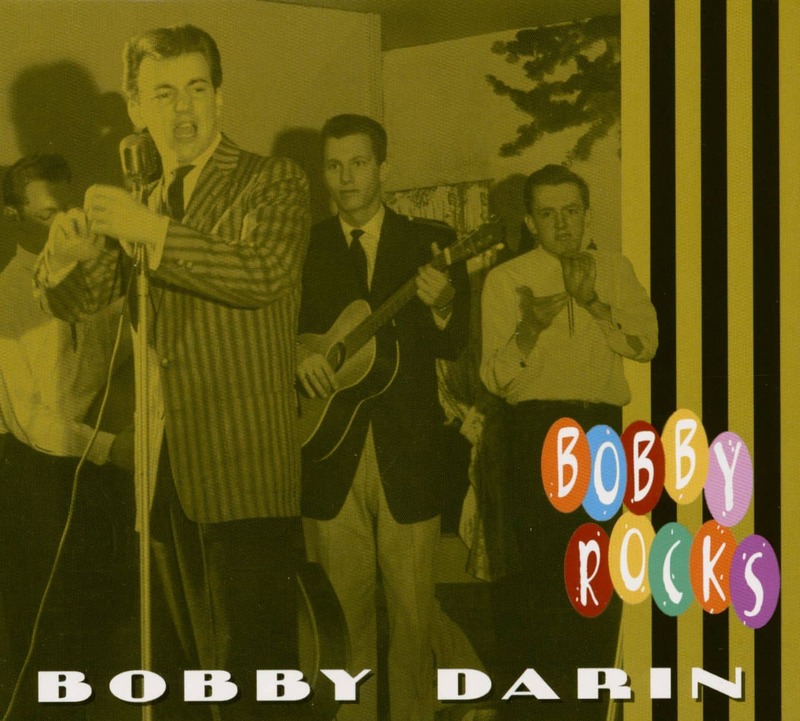 Samples the Rock and Roll Hall of Fame singer-songwriter's early career, features two of ,Bobby Darin's first recordings, and includes rare alternate takes. 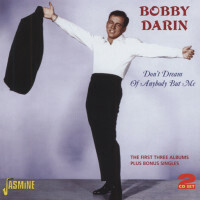 Features musicians including King Curtis, Sam 'The Man' Taylor, Hank Garland and Neil Sedaka, and has exclusive photos, discography, and notes including interviews with several of ,Bobby Darin's early friends and collaborators. 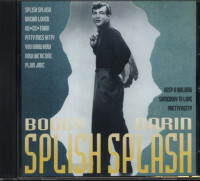 Splish Splash wasn't the beginning for Bobby Darin, nor was it just a flirtation with rock 'n' roll. 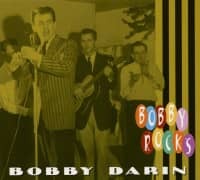 Forming a band in high school, ,Bobby Darin ,first played pop hits of the early '50s and standards, before becoming one of rock 'n' roll's pioneers, cutting records reminiscent of Elvis Presley, Fats Domino and Little Richard, and writing what became one of Buddy Holly's biggest hits Early In The Morning. 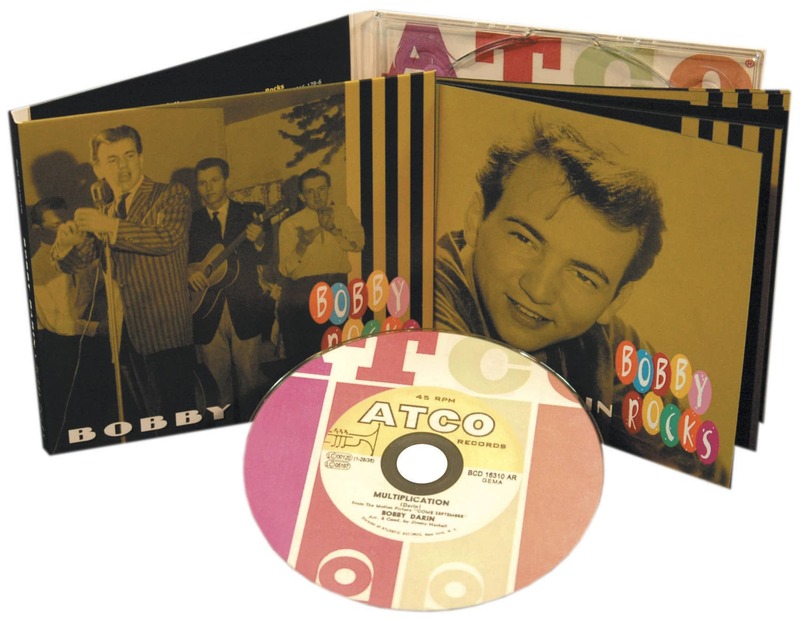 This collection draws from sessions originally released on Decca, Atco, Brunswick and Capitol. 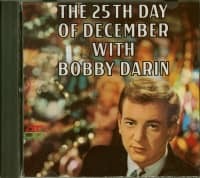 If Mack The Knife is the beginning and end of Bobby Darin to you, you're in for a big surprise. 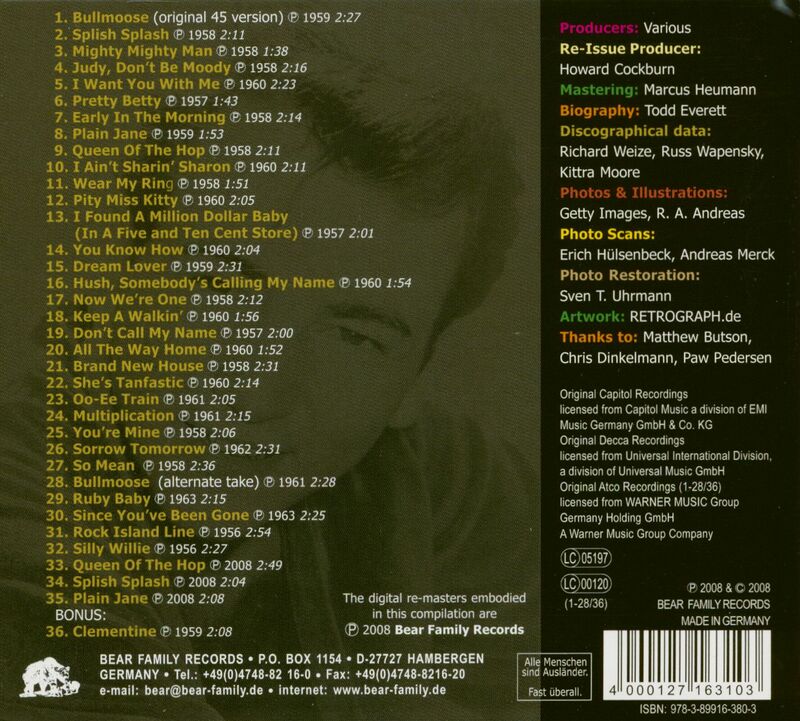 Customer evaluation for "Bobby Darin - Bobby Rocks"
Eine weitere CD der ..... Rocks-Serie in hervorragender Aufmachung und Qualität. Die Titel wie immer ohne Überraschung, weil gut auf der Website dokumentiert. 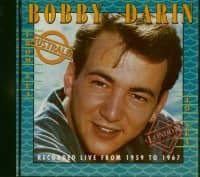 Dazu dann noch das beiliegende Booklet mit Discographie und sorgfältig recherchierter biografischer Skizze zum Künstler, in diesem Falle Bobby Darin. - Man müßte einfach unbegrenzt Regalplatz und Zeit zum Hören haben!